It took a veeery long time, but finally all information about the variant "Gods of Titan" are now available here. A (provisionally) German translation of the new "LAW OF TITAN" is available! I received 4 of my 6 new TITAN games. The quality is not 100% perfect, but: If you love the old version, you'll love the new version too - For me: I love it, it's sooo gorgeous, sooo lovely! Many, many thanks to Valley Games! - after six years: complete redesign of this page. 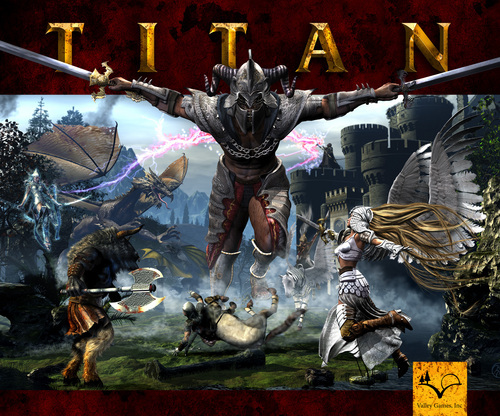 Valley Games is reprinting Titan, with new art! Near-final box artwork from Valley Games reprint.